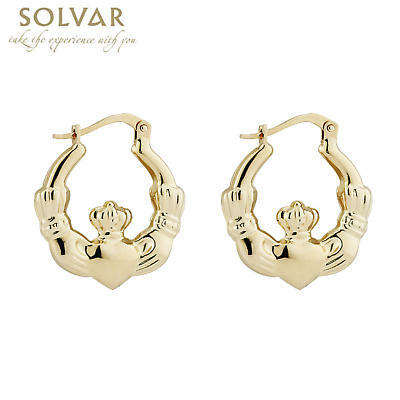 Beautiful 10k Yellow Gold Claddagh Stud Earrings. The Heart symbolizes Love, the Crown symbolizes Loyalty, and the Hands friendship. Comes in a padded display. 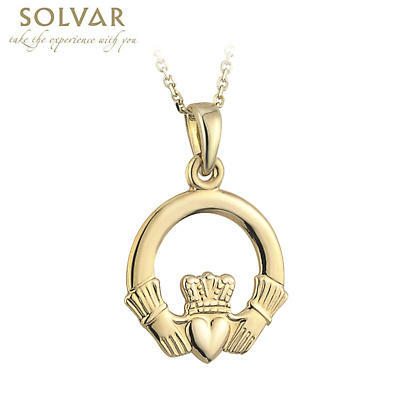 From Solvar Jewelry, Dublin, Ireland. Hallmarked at the Assay Office in Dublin Castle. Measures approx. .5 inch tall and wide.